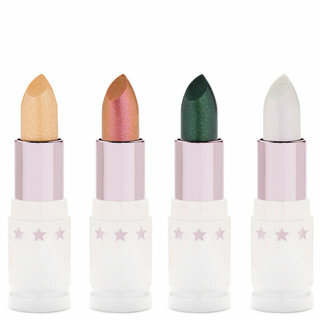 Create a smooth, pillow-soft canvas for your lipstick with Jeffree Star’s sugary-sweet lip scrub. 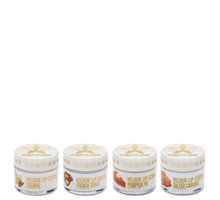 This exfoliating treat buffs away dead skin to leave your lips ready for flawless lipstick application. Absolutely love this! I initially got this to use before using the Velour Liquid Lipstick but now I find myself basically using this before applying any lipstick! I'm so glad it's vegan friendly and I just find it hilarious that it's actually edible. Makes me happy to have found a product that not only works amazing but is safe enough to eat! Goes to show that not all great products need chemicals in them to work fab! I absolutely love the flavor and the container was way bigger than I was expecting. Extremely satisfied! Accidentally put my review under spearmint but I purchased Mojito. Really like this scrub. Great price and soothing on the lips. Similar to Glamglows scrub but way cheaper! Will purchase again. I was surprised at how delicious this Lemon Icebox Cookies flavor of Velour Lip Scrub was. It is seriously a treat! 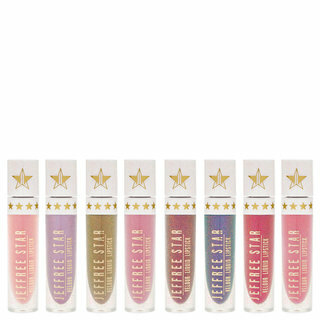 I think perhaps even my favorite of all the Jeffree Star Cosmetics Holiday Edition Velour Lip Scrubs! The formula is to die for as well. It leaves your lips soft and supple for your favorite lipsticks to have a perfect surface upon which to glide! I would definitely recommend this flavor to anyone. It seriously is the best of the selection. Job well done. Not exactly mojito flavor, but it's good. I use to work at LUSH and Lip Scrubs were a staple. Sugary goodness that not only tasted good, but made your lips feel great! Jeffree Star's in a bit better in my opinion. The tub is slightly larger and the ingredients make my lips feel super soft and exfoliated. I'm a total Mojito lover, but the flavor was a little weird at first. It's grown on me and I use it every morning before my makeup routine and every night after my shower. This is the first time I have ever bought a lip scrub [I have been stupidly making my own :)]. The spearmint taste is so good. The feel afterwards is just as amazing too. I can't wait to try the others.